It was in 1976 that the Thomas Cup last visited Thailand. In the four decades since then, badminton has evolved from a sport dominated by a few countries, to one in which the field is more competitive than ever before. It is particularly significant that, as the event in its current format – the TOTAL BWF Thomas & Uber Cup Finals – again makes its appearance in Bangkok, the hosts are among the title contenders in both the men’s and women’s tournaments. Thursday 22 April saw Thailand drawn into Group B of both the Thomas and Uber Cup; while the men will battle with Indonesia, Korea and Canada, the women will face Chinese Taipei, Germany and Hong Kong. Boasting a wealth of talent that includes the likes of Tanongsak Saensomboonsuk, Khosit Phetpradab, Dechapol Puavaranukroh and Kittinupong Kedren in the men’s, and Ratchanok Intanon (featured image), Nitchaon Jindapol and Sapsiree Taerattanachai in the women’s team, Thailand would want to capitalise on the rare opportunity of playing the Thomas & Uber Cup Finals on home soil and going one better than their Thomas Cup team of 1961, who lost to Indonesia in the final. The Indonesians, meanwhile, have suffered a steady slide since their glory days of the Sixties and Seventies – the period in which they won most of their record haul of 13 Thomas Cup titles. They reached the final of the last edition in Kunshan, losing 3-2 to Denmark, and will be confident they have a more balanced team this time around. Their singles players have matured and the doubles is led by the best combination in the world – Marcus Fernaldi Gideon and Kevin Sanjaya Sukamuljo. The team they lost to in that final – Denmark – are in Group D with Malaysia, Russia and Algeria. The Danes created history in Kunshan, becoming the first European team to win a world team championship; with much the same team in Bangkok, they have the ability and the experience to go all the way. Nine-time winners China, in Group A, do not quite have the formidable look that earlier Chinese teams sported. Nevertheless, with Lin Dan, Chen Long and Zhang Nan in their ranks, they have the ability to reverse recent history, China’s last title coming in 2012. India, France and Australia are their group-mates, and the Indians, with strong singles and at least one dangerous doubles pair, will be the ones everyone will be wary of taking on. That leaves Group C – with Chinese Taipei, Japan, Germany and Hong Kong. Japan has a wealth of singles talent that has blossomed in recent months – Kenta Nishimoto and Kazumasa Sakai being the notables – but a lot will depend on Kento Momota, who showed on Sunday that he is back to his best after beating Shi Yuqi, Chou Tien Chen, Lee Chong Wei and Chen Long on consecutive days at the Badminton Asia Championships. With strong doubles pairs (Takeshi Kamura/Keigo Sonoda and Takuto Inoue/Yuki Kaneko), Japan appear to have a good enough team to repeat their 2014 success. But they will need to avoid early mishaps against Chinese Taipei and Hong Kong. Chinese Taipei have a strong all-round unit, while Hong Kong can pull of a surprise or two against higher-rated squads. In the Uber Cup, top seeds Japan have the personnel that will be envy of all other teams: with six players ranked in the Women’s Singles top 20, and three Women’s Doubles pairs in the top 10, the East Asians are spoilt for choice. Japan are the team that could achieve what only China and Indonesia have managed – to hold both titles at the same time. Japan’s women are in Group A with Canada, Australia and India – who are still heavily reliant on Saina Nehwal and Pusarla V Sindhu. Indonesia, France and Malaysia aren’t likely to stop them making the quarter-finals. The young Chinese team will feel the weight of history – China have made every final since 1984, winning all but three. Anything less than another final will therefore be seen as a jolt for He Bingjiao, Chen Yufei, Chen Qingchen, Jia Yifan and their compatriots. Thailand and Korea are the big names in groups B and C respectively. While Thailand have the depth to negotiate group-mates Chinese Taipei, Germany and Hong Kong to go far in the draw, Korea – with Sung Ji Hyun and Lee Jang Mi in singles and Lee So Hee, Chang Ye Na, Shin Seung Chan, Jung Kyung Eun and Kim Hye Rin in doubles – will look to do what their mixed team did at the Sudirman Cup last year. 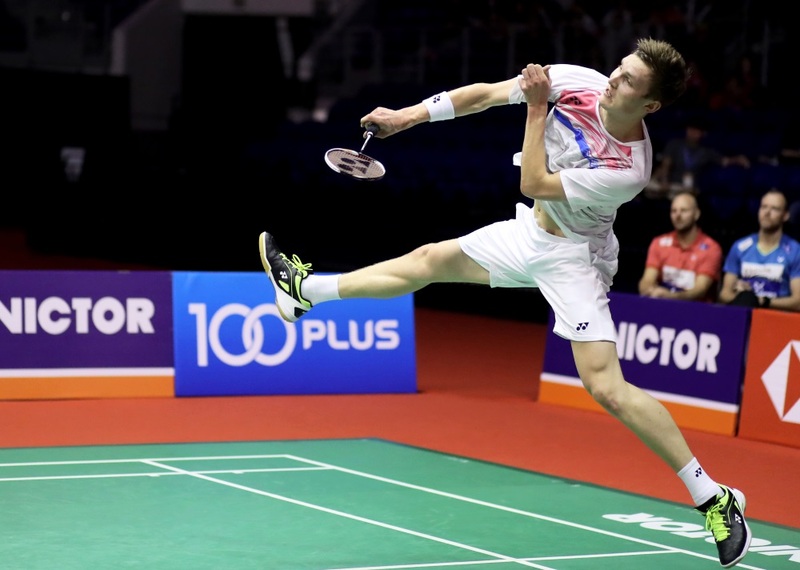 The last edition of the Thomas Cup in Kunshan had everything that makes the team events special – heroic performances by underdogs; upsets; nail-biting finishes. 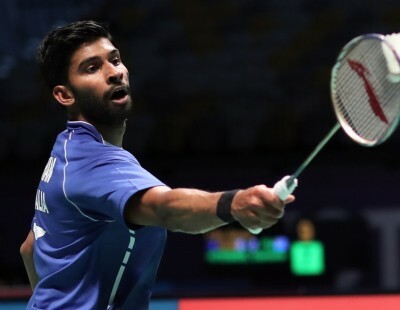 The event was marked by the quarter-final loss of China to a stunned home crowd in the Thomas Cup; the stirring triumph of Denmark by 3-2 margins in the quarter-finals, semi-finals and finals; and plucky performances by India and Korea in the Uber Cup. All indications are that the 2018 edition could lay out a similarly sumptuous feast.